Lock in a great price for Iberostar Sunny Beach Resort - All Inclusive – rated 8.8 by recent guests! 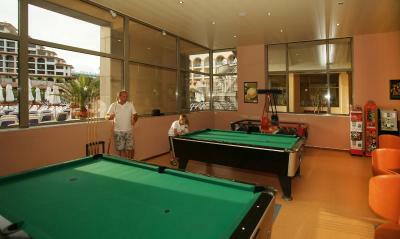 Located in the center of Sunny Beach, very close to the sea. 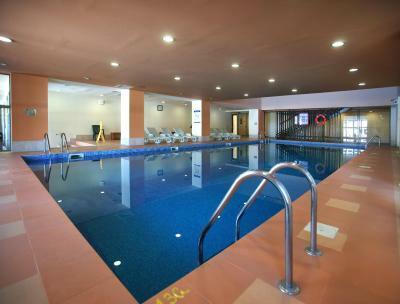 The hotel has a large teritory with pools for all ages. All inclusiv is limited but enough. The variety of food was very good. The animation and kids entertainment team was very good at their jobs. They were not professionals, but they work hard to keep everyone engaged. Rooms were cleaned every day. Staff was great, the location of the hotel was on right spot and the food which they offer was delicious. The best for family's, for all age groups. High qwolity of service. The hotel is amazing! We booked the junior swit and got an appartment with 3 bedrooms and 2 bathrooms. Very spacious, the beds are huge and comfortable, very clean. The staff are really friendly and helpfull. The food is very good, lots of choices for everyone. The location is really good with everything you need around you. Iberostar Sunny Beach Resort - All Inclusive This rating is a reflection of how the property compares to the industry standard when it comes to price, facilities and services available. It's based on a self-evaluation by the property. Use this rating to help choose your stay! One of our top picks in Sunny Beach.Within 250 feet from the sandy beach, Iberostar Sunny Beach Resort offers nonsmoking rooms, renovated in winter 2013/14, with balconies and side sea views. A rich all-inclusive offer is provided. Free WiFi is available at the lobby and pool area. Guests enjoy 2 main restaurants and a small restaurant on site, offering international and local cuisine. 2 lobby bars and a pool snack-bar are features as well as a premium bar with lounge area and the Amadeus Viennese style coffee house. The Iberostar Resort offers 2 outdoor pools and 1 indoor pool, 3 pools for children, of which 2 are fitted with water slides. 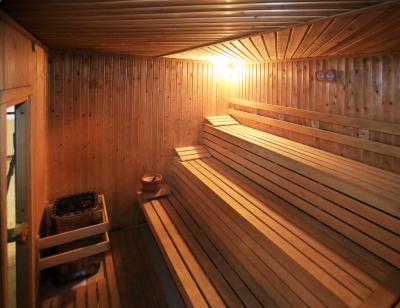 In addition, a spa center, a sauna, and massage services are available at a surcharge. Guests can also benefit from using a fitness room, an open air fitness area, mini golf, 2 conference rooms and a leisure program for children and adults. Table tennis is available free of charge. Child services, a beauty salon, a safe, dry cleaning and laundry services are at guests disposal at a surcharge. An aqua park can be found just 0.6 mi away and the Old Town of Nessebar is 3.1 mi away. Within a 2-minute walk you can reach the next bus stop. 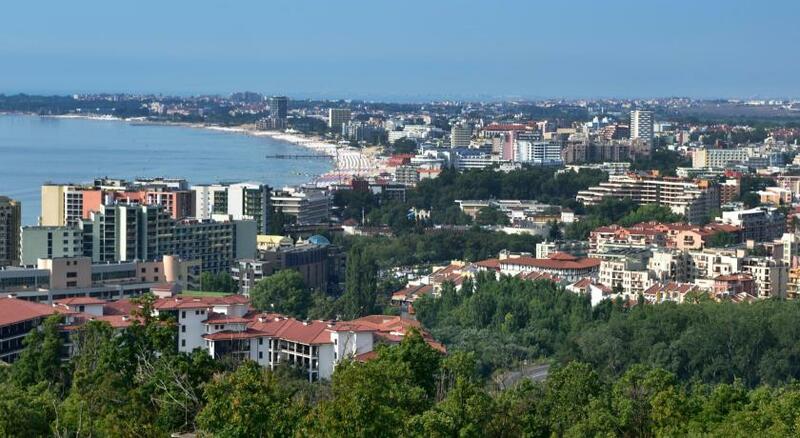 This property also has one of the top-rated locations in Sunny Beach! Guests are happier about it compared to other properties in the area. 뀐 Located in the top-rated area in Sunny Beach, this property has an excellent location score of 9.1! When would you like to stay at Iberostar Sunny Beach Resort - All Inclusive? Double rooms with park or pool view. Private parking is available on site (reservation is not possible) and costs BGN 9.78 per day. Carpeted rooms with a balcony, partially overlooking the sea. Spacious room with pool or park view, with a dividing wall inside. Please note that the room rate is based on 3 guests. Maximum occupancy is 4 guests (see the rates in Hotel Policies). Please note that the room rate is based on 1 guest. Maximum occupancy is 1 guest. Our hotel, perched along Sunny Beach's immaculate coastline, is the perfect accommodation choice for guests wishing to discover the real Bulgaria during their family holidays. House Rules Iberostar Sunny Beach Resort - All Inclusive takes special requests – add in the next step! Iberostar Sunny Beach Resort - All Inclusive accepts these cards and reserves the right to temporarily hold an amount prior to arrival. Please note that the payment has to be made in the local currency (BGN), no EUR accepted. The full amount of the reservation is required upon arrival. Please note that the pools for children can be used under age 12. - No information about the hotel policy, services and extras in the room or hotel website - only in the lobby - Safety deposit box is in the room but cost 10 BGN per day to activate (10% of the room price !!!) - Air condition was not working - did not cool the room (October - I opened the window to cool the room) - Almost all the deserts in lunch and dinner are creams. - My friend found screw in one of the cream deserts. Lucky for him he did not cut or swallow it. - Snack bar - one kind of sandwich and no pasta although written in the list - Change in the hotel - 8% exchange rate. Find another place outside. - WIFI - can connect only one device. The food was good and varied. There were three restaurants but all served the same food. so quite repetitive. If you are a light sleeper, take a room at lower floors because at the upper floor(8 floor) you can always hear the sound of the central heating/air conditioning located on the roof of the hotel..The parking place of the hotel is too small for the size of the hotel..But we found a spot because we were off season.. Pools, animation team, size of the room and the balcony. The food was ok and variet. Very close to the beach. The staff was friendly and helpful(spasiba Maxim from the restaurant! ).The hotel is very clean with a lot of sunchairs at the pools. All-inclusive is very generous! We asked for double bed but got seperateded beds. Food was mostly the same every day and of a poor quality; we had to do cosleeping with our kid in two single beds closed together (they didn.t give us another room although we ask for it, no metter the costs); it was a constant noise in the room located at 8th floor (last one) because of the HVAC equipment located above us; the indoor play ground opens at 10am when a kid is already bored and closes at 5pm when a kid is up after the nap; the hotel stuff speaks very poor english (only at the reception and at the bar you can engage a small conversation); we came by car and when we wanted to check in they didn.t allow us to park and the property (crazy, because we had a reservation number). We had to pay for everything in advance in order to be able to park the car. This was from far the worse vacation ever! The location itself is very very noisy. Like a puzzle of hotels mixed together with pools, boutiques, etc. Too expensive for what you get They put us in Section C, apparently a new addition to the hotel, but not what we reserved...it was basically 2 very small rooms with a connecting door,other than beds there was no space to move in the room, the beds didn't look good/comfy but mainly-this was not the room we reserved as we specifically requested for Junior suite!! When we went down to the reception from floor 7 the elevators didn't work!!! The reception told us that since it's a new building we shouldn't expect everything to work well.... Leaving that aside we insisted on switching our room to what we reserved but they told us it's impossible since the hotel is fully booked...we had to spend an hour moving from 1 reception to another with 2 little kids that one of them didn't feel well...and that is only to get what we paid for!!! We didn't give up as we couldn't spend even 1 night in the room they gave us, and look at that...suddenly something popped up,after they told us they are fully booked, and we received the Junior suite. 1) The water in the pools are very very cold 2) The food/Alcohol isn't very good, nice variety but everything seems to be tasteless, bad quality. 3) The Creation corner (where kids paint in the little booth) costs money, and lots of it! I would expect that this activity will be free of charge after paying a great deal of money to the property. 4) Cleanliness- we asked for extra towels and received ones with soaked coffee on them. 5) One of the showers in the room had a problem with the drain, so after every shower we had floods (need less to say how dangerous this is...). More adult entertainment. Seen the Bulgarian dancers prancing round more than I care to remember. A group playing would be good for all. Mexican theme at lunch. Stayed there many times. However, two years ago and food was awful. Food this year fabulous. Iberostar must have certainally took note of comments regarding food. Excellent.